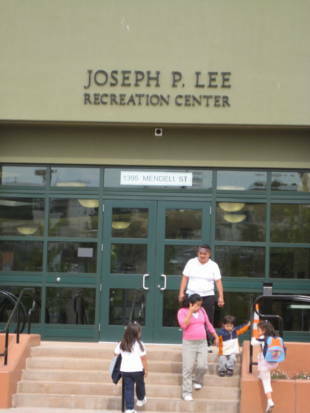 At Joseph Lee Rec Center you can play a game of basketball, table tennis or air hockey or sign up for arts/crafts and ceramics. This rec center has a full kitchen and restrooms are available. 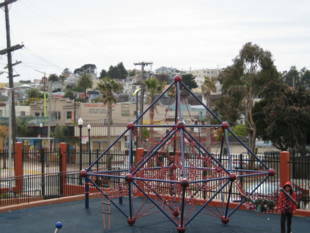 There is also a tether ball court and multi-purpose field for pick up games. Phone number is (415) 970-9202. 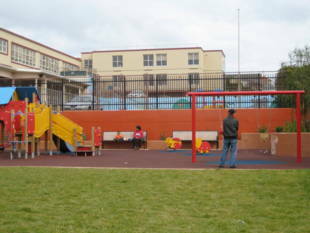 Joseph Lee Recreation Center is owned by the San Francisco Recreation and Park Department. There is a teen after school program during the school year, call for details. 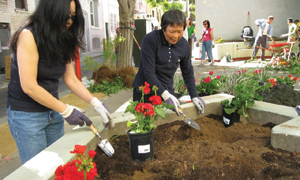 Facility Rental: Three-hour minimum rental is $75 plus $50 for clean-up. Additional hours will incur a charge of $25 per hour. K-Ingleside/T-Third Street, 23-Monterey, 24-Divisidero, 44-O'Shaughnessy and 54-Felton -- 3rd Street and Oakdale/Palou stop. 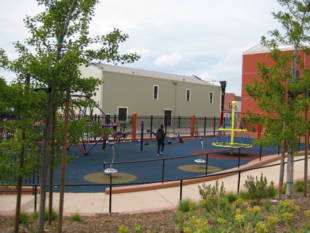 Joseph Lee Rec. Center is on Oakdale, a short walk from 3rd Street. Call the rec center for more information on their group activities.